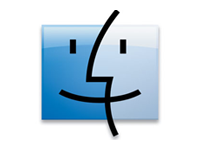 Historically, people using Macs have had a much more limited amount of software that they could use with their computers. The amount of Mac users has really grown over the last few years, however even today they only comprise about 8% of the market. So it stands to reason that software makers have been less disposed and motivated to make specific versions of their software for Mac users. The fact that Macs can be booted up separately to run windows based software has helped a lot, but at the same time, this can be annoying and if you are running a Windows operating system quite a bit then this kind of defeats the purpose of owning a Mac. If you are willing to pay for it, you can even get your Mac configured to run both operating systems at the same time, which at least keeps you from having to reboot every time you need to switch back and forth, but not everyone has this capability and ideally you wouldn’t have to bother with any of this if you could just get the software you want in the Mac format. While things have definitely improved here overall, the online poker industry has been slower to adapt to accommodating Mac users than other industries. I remember a couple of years ago I started to get interested in this topic as I was considering buying a Mac. It’s not that I had any real issues with my Windows based computers over the years, but I’ve always looked to get the best stuff out there and I heard that Macs are the ultimate, so I wanted to at least check them out. Since I am a serious poker player, to my disappointment I found out that in order to play at the poker sites that I wanted to, I’d have to be running in Windows mode the whole time. There were a few online poker rooms that had Mac versions but they weren’t any that I wanted to play at. In addition, the poker software that I use, Hold’em Manager, didn’t have a Mac version either, so the whole idea of getting a Mac pretty much went out the window. Now, Poker Tracker 4 has a Mac version, although I’m now using Hold’em Manager 2 and while they still haven’t come up with a Mac version for their product, they are at least saying that it is something that they are looking at down the road. I’m discussing the best Mac sites here, but I recommend you to also check out this site for more Mac compatible poker sites. So if you want to run your computer in the straight Mac configuration, you can at least run a top rated stat program with Poker Tracker 3. Perhaps even more importantly, there are now several top rated online poker rooms that have Mac download versions, which I will be reviewing for you here. So it is now possible to play at a great online poker room and also track your own play and that of your opponents without having to bother with Windows at all. 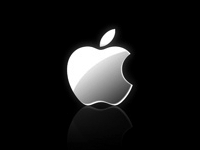 So of course if you have a Mac now, or are considering purchasing one, and you are also a poker player, you will want to know what the best poker sites to play at are that support the Mac operating system. So I’ve come up with a list of the 4 best out there in this category, along with a review for each. 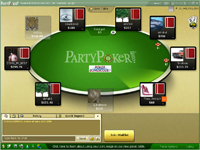 Party Poker has been a leader in online poker ever since online poker began. They quickly became the world’s favorite online poker site, and retained that title for several years, until they decided to no longer accept Americans a few years back. These days, they are in the number two position in terms of popularity, behind only Poker Stars, who built up such a strong amount of momentum in the years that they continued to take U.S. players that even after they were forced to stop taking them, they still found themselves ahead of the pack. Party Poker’s immense popularity over the years wasn’t by accident, as they have always offered their players superior playing experiences at a superior poker site. American players who were no longer allowed to play there tended to long for the good old “Party days” and never were as happy or as profitable as they were back when they were allowed to play at Party Poker. Party Poker has recently ramped things up even more, with new cool graphics and software which now rivals the best in the industry, and a new and much improved reward program which now pays out much more to players than ever. In fact, every aspect of Party Poker’s operation has been revamped, to offer their players what they now feel is clearly the best online poker playing experience anywhere. The main appeal of Party Poker all these years has always been the large amount of fish that are to be found there, and this hasn’t changed. As the game of poker has evolved, players have generally tended to improve as the years have gone by, so the concept of fishiness has gone through some real changes, and you no longer see the crazy play that was so common back in earlier days. However, with the game so tight now at some poker sites, it’s even more important to focus on playing against softer competition. At some sites the games aren’t even beatable anymore no matter how good you are. A lot of the games you see now are folding fests, with the button taking down the blinds in most hands with the best people can hope for is to just beat the rake, and then need to play a mind twisting amount of tables to squeeze out a decent amount in player rewards and be prepared to settle for that as their profit. That’s not much fun and not much profitable either, although the brighter players, not necessarily the better poker players but the ones that are smart enough to realize that they need to be a lot choosier about where they play, play at the better poker sites such as Party Poker, and do a lot better. Even if you are a losing player right now, it’s super important to play against easy competition rather than tough competition, and by making Party Poker your main poker site, you will be setting yourself up for success. So in other words, if you are losing, you will lose less at a fishy poker site like Party Poker, and if you are winning, you will win more. This to me seems pretty important indeed, and in fact is by far the most important consideration in choosing a poker site to play at. Party Poker has been a publicly traded company for a number of years, which really sets them apart from most poker sites due to their entire operation being open to the public. You and I can own a piece of Party Poker by buying shares in the company, so there can be no secrets, and there can be no less than fully ethical dealings, so this increased amount of transparency certainly adds to the level of confidence that players can have in the company that owns their poker site. Party Poker also recently merged with sports betting giant Bwin, which brought together the two largest publicly traded gaming companies on the London Stock Exchange. This partnership and pooling of experience and expertise has already paid dividends, as both companies have been made stronger and more effective, and this had a lot to do with Party’s new philosophy of working even harder to ensure that their players are treated in the best way possible. The plan at the time of this writing is to bring Bwin’s poker room over to the Party Poker network, making it even bigger and stronger. There is also a lot of fish that play at bwin’s poker room, coming over from their massive sports betting site, and this will also add further to the quality and softness of competition at Party Poker. So this will serve to make both poker rooms much larger, fishier, and more exciting. Players who have never had an account at Party Poker are treated to a nice welcome bonus, where Party Poker will double their initial deposit, up to 500 of the currency they deposit in. You can deposit in USD, CAD, EUR, or GBP, but to get the most out of the deal, deposit in GBP which provides the most bonus money. It doesn’t matter where you live, as you can deposit in whatever currency you choose. The rewards don’t stop there though, as once you’ve collected all of your bonus money, Party Poker will continue to lavish you with their VIP program, where the more you play, the more rewards you get. As you accumulate Party Points, you can move up the VIP levels to higher and higher payouts. Party Poker’s reward program is among the most generous in the business, and pays out tons of cash to its players every day. 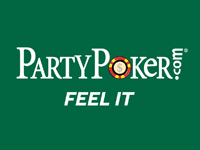 If you don’t have an account at Party Poker yet, by all means click on our link to them and find out what you have been missing. Topping off my list of the 4 best poker sites that offer Mac downloads is super sports book Bwin. 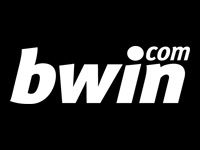 As mentioned, Bwin has recently merged with Party Gaming to form a super online betting company which is looking to be second to none in the industry, and if what they have done already is any indication, they very well may achieve this goal. 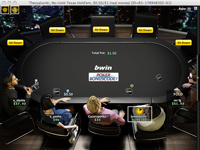 Like Party Poker, players at Bwin can enjoy sports betting and casino games as well as poker all from the same account. Bwin’s sports betting operation in particular is among both the largest and highest rated around, and is a favorite of many professional sports bettors. Their poker room has also benefited from the sharing of expertise with Party Poker since their merger. Both poker rooms in fact underwent significant improvements as a result of their business partnership, although it was Bwin who ended up affecting Party Poker the most. If was felt that Party Poker was too much on the complacent side, resting on their laurels too much so to speak, in contrast to Bwin, who in the fiercely competitive market of sports betting, where the odds are pretty similar across the dozens of top sports books and success really comes down to how well you take care of your players and how well your operation is run, had more to bring to the table. So now both sites are really ramped up, and among the features that they both provide is full access to players who like to play on Mac computers. All you need to do is select Mac as your preferred download and you are set to go. Bwin’s welcome bonus for first time players on their site is similar to Party’s, with new players being treated to having their initial deposit doubled in bonus money, up to a maximum of $500. They also give you 10 free tickets to exclusive depositors freerolls, in addition to starting you out with 1000 VIP points, so you can hit the ground running as far as collecting their nice assortment of rewards to thank you for playing at their poker site. Given the sheer size of their sports betting operation, most of the poker players at Bwin come over from that side of the business, rather than their recruiting experienced and skilled poker players like some sites do. This reduces their marketing costs on the poker end of things, so they are in a position to give back even more to their players through rewards and promotions. The biggest benefit of this though has to do with the type of players that you typically see playing poker at Bwin. It can be a frustrating experience these days playing at some poker sites where it seems all of the players are good and there’s so little action going on because just about everyone is a tight aggressive. This can be especially challenging for newer or struggling players who often get pounded on by every other player at the table, and more lining up on the waiting list just to get a shot at them personally. I’m an expert player and I can tell you that even I am not interested in these games since there’s so little margin for profit no matter how good you are. So the downside is a lot bigger at these sites and the upside is a lot less so these aren’t poker sites that anyone should want to be playing at. So at sites like Bwin, and all my top recommended sites for Mac players, you don’t see all that many good players, and while there are some, there are plenty of fish to go around. This is because most of the players there are, once again, primarily sports bettors and haven’t spent hundreds of hours away from the table watching top pros play on videos and hanging around poker forums. So once again, the main attraction of Bwin is the relative softness of their games. In fact, the big time serious poker players out there stay away from poker sites like this because they can’t play the 18 or 24 tables that they like to play at the same time. This is definitely a plus for us since these players tend to win money, not lose it. It’s losers that we are interested in, and there are plenty of them at Bwin. So I definitely recommend Bwin Poker to any player looking for a good Mac poker site, or even if you’re just looking for a good poker site period. All of my recommendations are top notch poker sites and now that great sites like these are offering Mac downloads, those who run Macs no longer have to settle for second rate. Like Party Poker, Bwin also has been a publicly traded company for many years, and their reputation has been impeccable. As mentioned, the two are part of the same company now, looking to form a super online gaming enterprise who are looking to continue to build on their successes and get better and better as time passes. The bottom line here though is that Bwin is as solid of a choice as you can make in the online gaming industry, and it’s a real benefit to be assured that the company that you have your online money with is so solid and respected. So click on our link to check out everything that Bwin Poker has to offer, or perhaps you’d prefer to start out with one of the other top Mac poker sites on this list. You really can’t go wrong with any of them, and all of them are standing ready to pay you generously to give them a try.